So what about it? It is pretty easy to find Scriptures that show that it is right to be angry when we see evil and injustice. But what about when we are the victim of that evil and injustice ourselves? 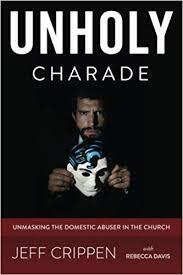 NOTE: Eight years have passed now since I delivered this sermon series on domestic abusers hiding in the church. As is true with us all, I have learned much more about this subject since 2010 and so, as is the case with this sermon, I often need to “tweak” a sentence or two when we publish here. In this case I found that I used the phrase “we are all sinners” but neglected to make it clear that my meaning was “we are all sinners when we are born into this world.” It is a gross error to claim, as is so common today, that those who are genuinely in Christ are “all sinners.” Try to find that teaching in the Bible. You won’t. Also, let me say that as I re-read this sermon I was uncomfortable in regard to this subject. Why? Because the vast majority of abuse victims I know and communicate with are women. Christian women. I don’t enjoy speaking about women as abusers because I do not want to give any ammunition to those who want to “blame the woman” for the abuse they receive – after all, they “pushed his buttons” you know. However, Jezebel was a real person. And her progeny still exist as enemies of Christ and Christ’s people. So deal with the subject we must. This is good stuff!!! Listen very carefully! Do you see the connection? Boundaries. Just as locks and doors and property lines, proper manners and security clearances are all concerned with setting boundaries and providing proper means of granting selected people permission to cross those boundaries – to come into your home; to open a safe; to enter another country; to address a president or governor or judge – “you may approach the bench” – so the Law of God sets in place certain inviolable boundaries that are not to be crossed. In fact, these boundaries have no key nor password. They may not be violated. Codes of law in society are boundaries, right? You shall do this. You shall not do that. A speed limit is a boundary. Shoplifting is a violation of a boundary. Our lives, it would seem then, are filled with boundaries against which we must not trespass. Boundaries are GOOD and necessary, especially in a fallen world. Do you understand then why the Bible uses the word trespass for sin? What does all of this boundary talk have to do with the subject of abuse? Well, because sin is a trespasser, we should understand then that the abuser is a trespasser of boundaries. Not only legal and social boundaries, BUT IN PERSONAL PARTICULAR, BOUNDARIES. We hold these truths to be self- evident, that all men are created equal, that they are endowed by their Creator with certain unalienable Rights, that among these are Life, Liberty and the pursuit of Happiness. So that these rights are boundaries that not even the king can cross. The sinner in general and the abuser in particular and especially IS A VIOLATOR OF PERSONAL BOUNDARIES. The abusive man or woman denies that all men are created equal. The abuser is far above everyone else. The abuser denies that his victim(s) have unalienable rights – he believes he has the authority to alienate them from those rights. The abusive person takes life, liberty, and happiness away from his victim and feels entitled and justified in doing so. The abuser is a trespasser, a violator of personal boundaries. A. The right to various kinds of privacy. Every person, every human being, has a right to expect certain levels of privacy. Of course there has been great debate about this – at what point can government for instance intrude upon our privacy? Search warrants are required. Unreasonable searches are illegal. But a wife, for example, has a right to certain privacy in her life. Privacy connected with modesty. Privacy in regard to her thoughts. Privacy in respect to her conversations with others (phone calls, emails, etc). Privacy about what she did with her day. She may choose to share these things. And in a normal relationship, that sharing occurs. But ONLY because she granted permission for her boundary of privacy to be crossed by someone – her husband for example. AND IN A NON-ABUSIVE, LOVING RELATIONSHIP – THOSE BOUNDARIES ARE RESPECTED! 1 Corinthians 7:2-4 ESV But because of the temptation to sexual immorality, each man should have his own wife and each woman her own husband. (3) The husband should give to his wife her conjugal rights, and likewise the wife to her husband. (4) For the wife does not have authority over her own body, but the husband does. Likewise the husband does not have authority over his own body, but the wife does. Of course, the abuser always rips Scripture away from its context AND he ALWAYS (don’t forget this) operates with a double standard – one for his victim and one for himself. Watch for it, the double standard will always be there in the abuser’s mentality. In this case of course, he emphasizes verse 4a, but leaves out the rest of that verse. He also perverts the Apostle’s meaning to justify any use of his wife’s body that he decides upon – regardless of whether she objects or not. It is not uncommon for the abuser then, in connection with his low view of women as persons, to force perverse actions upon her. Human beings have a right over their own body. NOTE: Of course this argument is perverted, isn’ t it, in respect to abortion. Let’s just note that abortion is the taking of a life that is NOT the woman’s body. In some cases morality and ethics could conceivably justify aborting a pregnancy (not all will agree with this) – to save the mother’s life, for example. NOR does this right mean that any of us have the right to use our bodies in sinful, immoral ways. Many abusive men deny their victim/wife the right to bear or not to bear children. That is to say, the abuser dictates that she will use birth control and what kind she will use. Or, even more commonly, he will dictate to her that she will not use birth control. Are you thinking now? Time for some self-examination perhaps? Some abusive men, have actually demanded that their wife NOT take any type of anesthesia during childbirth for pain, and if she does yield and have the doctor give her one, he flies into a rage and calls her vial, demeaning names! Other abusive men deny their wives the right to decide about medical treatment that a doctor has advised. Deny them the means to have a necessary surgery, etc. Do you understand then? In a healthy, one-flesh marriage, these things are decided together. The husband recognizes that his wife has certain personal rights, personal boundaries that only she can give permission to intrude upon. From the wife’s standpoint, she will recognize that her husband has a part in these decisions as well – particularly as regards childbirth decisions. Still another kind of boundary that an abusive man will commonly ignore is his wife’s/victim’s choice of clothing, makeup, or hairstyle. It is not uncommon for an abusive man to demand to select ALL of these things for his wife, claiming that this control is a sign of his love for her. Not so. It is abuse. It is a trespass of her personal boundary regarding her own body. Are we saying that a husband has NO say in these things at all? Of course not. But you must understand that the abusive man denies his victim any say, any rights, any opinion in these things. Still another important boundary/right that every human being has is the right to happiness and self-fulfillment. “Christians need to take special care with this boundary. We know that it is very often abused, and that the Bible tells us to consider others more important than ourselves, that we are to patiently endure with contentment whatever God brings our way. These rights do not give us the right to DEMAND of God! Any rights we have all derive from Him. Nor do these rights mean that we are entitled to become the center of the universe ourselves. To do that is to become the abuser! The abuser denies his victim the right to happiness and self- fulfillment. She exists only for HIS happiness and for HIS self-fulfillment! The universe revolves around him and if she forgets it, he has many weapons of abuse to remind her. More often than not, in a healthy, biblical marriage – the husband will support and encourage her in these things. We have all used the phrase “don’t hurt his feelings.” Human beings are emotional beings. We have feelings. If we are going to love one another, we must understand this and consider other people’s feelings – how saying or doing a particular thing is going to impact them on an emotional level. Ephesians 4:29-32 ESV Let no corrupting talk come out of your mouths, but only such as is good for building up, as fits the occasion, that it may give grace to those who hear. (30) And do not grieve the Holy Spirit of God, by whom you were sealed for the day of redemption. (31) Let all bitterness and wrath and anger and clamor and slander be put away from you, along with all malice. (32) Be kind to one another, tenderhearted, forgiving one another, as God in Christ forgave you. Now, understand – we all hurt other people’s feelings sometimes. We all trespass against them and against God (we can grieve the Lord). But when we do – there are the convictions of conscience. In a Christian, there is the conviction of the Holy Spirit, so that we repent and even feel the pain we have caused. – Oh, you are just too sensitive! How do you recognize when you are being trespassed against by the abusive person? This is the first thing. You must understand that as human beings we all have the right to these boundaries – privacy, our own bodies, the right to self- fulfillment and so forth. THEN you must recognize when and how the abuser is violating your boundaries. As part of your right to LIFE and happiness, you have the right to a sense of safety and security. A common tactic of abusive men is to violate this boundary, putting the victim in danger and fear – without permission to cross that boundary. It might be through recklessly driving the car she is riding in. It could be unsafe use of firearms – pointing a gun at her but laughing because “it’s unloaded.” And the victim can FEEL this trespass. She feels unsafe around the abuser. THE ABUSER WILL TRY TO MINIMIZE AND RIDICULE THESE FEARS, BUT THEY NEED TO BE ACKNOWLEDGED. NOTE: The church must take care not to cross boundaries that God has not given authority to cross. Obviously, the Christian is subject to the admonishment and discipline of the church and fellow believers. We are not our own, in this sense. We must glorify God with our bodies. So our “personal” business is the Lord’s business, and the Lord calls upon the church body to hold one another accountable. Nevertheless, churches themselves and church leaders CAN become abusers – and it has happened often in the history of the church. Defines you. Defining is a term that means dictating to someone what their thoughts and motivations are, the abuser insisting that he knows his victim’ s inner being better than she does. This is VERY common in the abusive man. These are trespasses. They are boundary violations. They are sin and they are examples of abuse. You can FEEL that they are boundary violations and your feelings are indeed valid. THERE IS A REASON FOR YOUR FEELING OF BEING VIOLATED – YOU HAVE INDEED BEEN TRESPASSED AGAINST. Colossians 2:20-23 ESV If with Christ you died to the elemental spirits of the world, why, as if you were still alive in the world, do you submit to regulations- (21) “Do not handle, Do not taste, Do not touch” (22) (referring to things that all perish as they are used)– according to human precepts and teachings? (23) These have indeed an appearance of wisdom in promoting self-made religion and asceticism and severity to the body, but they are of no value in stopping the indulgence of the flesh. These false teachers, you see, were trespassing, crossing a boundary that the believers at Colossae had a right to in Christ. Notice that the Apostle Paul is calling US to enforce our boundaries – “why do you submit to these trespasses?” Stop permitting it. Most of you have probably watched the movie, What About Bob? In the movie, Bob Wiley is funny. He forces himself and his desires on Dr. Leo Marvin and family, pressing himself into their home and even into their son’s bedroom! One of the reasons the movie is so comical is because we recognize the boundaries that Bob is violating – but in the movie he is harmless. Not so in real life. A real Bob Wiley is an abusive, wicked man who victimizes people by intruding across their personal boundaries. “Dolores, now in her 60’s, is the mother of four sons and three daughters. When her first husband died 16 years ago, she married a successful surgeon and is consequently rarely short of funds. Y et instead of taking expensive vacations or buying designer dresses, she spends most of her money on two of her children, Natalie and Larry. Larry is a 38 year old ex-plumber who 4 years ago announced that he wanted to go to college. He has never taken more than one course per semester, rarely opens a book, and has less interest in learning than a tired frog. Dolores pays his tuition and keeps him supplied with cash. Not a bad life, you might conclude, until you notice that Larry is at his mother’s beck and call. He cannot even date without her approval. She picks out his clothes, shows up unannounced at his apartment, and insists that he take her out to dinner at least once a week. The surgeon doesn’t mind because she’s as intrusive with him as she is with her children. Dolores is a trespasser into the lives of her son and daughter – big time. She is guilty of a mass of boundary violations – but Natalie and Larry permit this abuse to continue through their ignorance and their selfish desire for the things their mother can provide them. Dolores is a real life Bob Wiley, and she is not so funny at all, right? Do not, like the one lady in McLemore’s book, keep whimpering or trying to get him to understand your feelings. It won’t work. He has no feelings for your feelings. Others may, the abuser doesn’t. If a victim is in real danger, then her course of boundary enforcement is to leave the abuser (which requires some planning and help). If she decides to stay, then she must learn to recognize boundaries, boundary violations, and begin to enforce her borders. “If you continue to speak to me in that manner, then I will need to leave.” It is vital that victims of abuse, and all of us really, learn and understand how the abuser violates the boundaries and rights of his victims so that we can begin to call him to account for his trespasses. Parents: You MUST teach your children these things. They must learn about boundaries. How to enforce their own boundaries, and how to respect other people’s boundaries. We do this by teaching them the Law of God – raising them up in the discipline and instruction of the Lord. What can we say then to all this as we bring the gospel, the redemption of Christ, to bear upon all of this? Isaiah 1:11-12 ESV “What to me is the multitude of your sacrifices? says the LORD; I have had enough of burnt offerings of rams and the fat of well-fed beasts; I do not delight in the blood of bulls, or of lambs, or of goats. (12) “When you come to appear before me, who has required of you this trampling of my courts? Isaiah 1:16-18 ESV Wash yourselves; make yourselves clean; remove the evil of your deeds from before my eyes; cease to do evil, (17) learn to do good; seek justice, correct oppression; bring justice to the fatherless, plead the widow’s cause. (18) “Come now, let us reason together, says the LORD: though your sins are like scarlet, they shall be as white as snow; though they are red like crimson, they shall become like wool. 2. Because of Christ, so thorough and complete is His redemption and rescue of His people – our feelings will never be violated again one day. No one will ever violate a boundary in heaven. In fact, there will not even need to be a single “trespass sign.” That is to say, the threatenings of the Law of God will not be required there. Because we will love the Lord and our neighbor perfectly. Even now, even now – it has begun in us. If you know Christ, His Law has been put right on your heart.